FAQs. What’s On Tap? Find Us. Event Rental & Reservations. If you’re a fan of Pale Fire beer, we encourage you to visit our tasting room in downtown Harrisonburg, Virginia. Located in the Ice House complex, we are walking distance from all the shops and restaurants that downtown has to offer. Enjoy a pint of one of up to ten beers – all made fresh on site! If you can’t decide on just one of the current tap selection, try a flight! Large windows expose the production brewery on one side and on the opposite sunlight streams in from three garage doors that open up to a spacious patio (yes, we are dog-friendly). 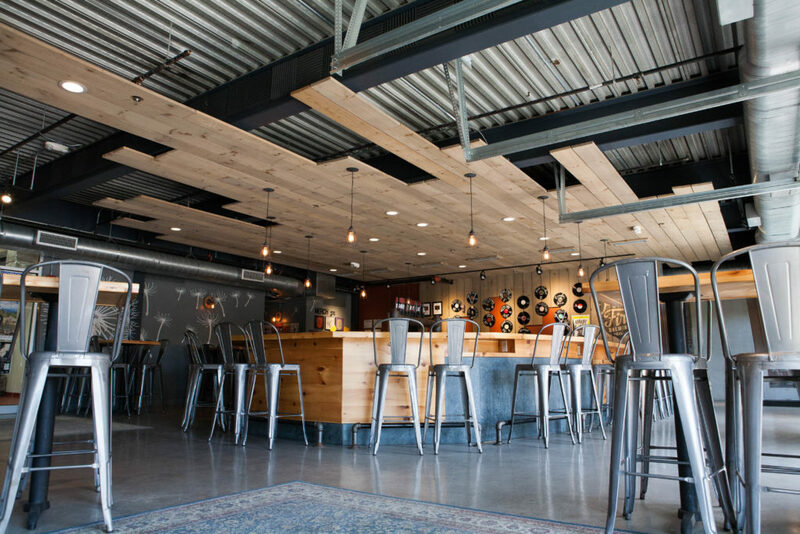 Have a seat at our large U-shaped bar or one of our bar height tables scattered throughout the 2,000 square foot space. 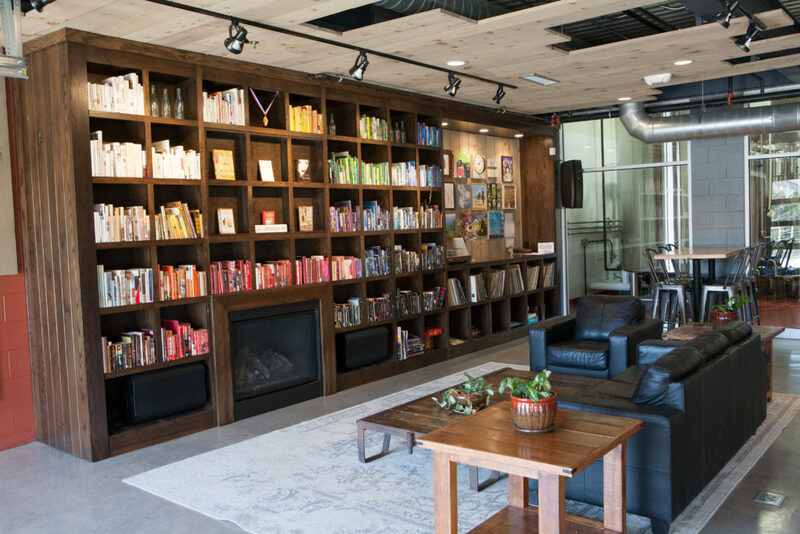 Get cozy on the couch with a book from our floor to ceiling Little Free Library or just relax by the fireplace with friends. Browse our collection of vinyl and play something on our record player. In addition to our brews, we proudly serve Route 11 Potato Chips (Mount Jackson, VA), Mom’s Spicy Pretzels (Henrico, VA), and Whitley’s Virginia Peanuts (Williamsburg, VA) and Bittersweet Bakery Cheese Crackers. We also offer two rotating flavors of kombucha on draft from Blue Ridge Bucha (Afton, VA) and cans of Snowing in Space nitro cold brew coffee. We maintain an open food policy so customers are always welcome to order or carry in their own food. Follow us on Facebook for updates and beer specials.